Do wish it was unabridged though. . . 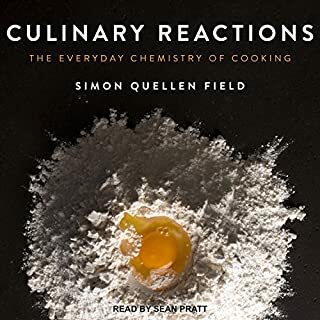 In the tradition of The Joy of Cooking and How to Cook Everything comes Salt, Fat, Acid, Heat, an ambitious new approach to cooking by a major new culinary voice. Chef and writer Samin Nosrat has taught everyone from professional chefs to middle school kids to author Michael Pollan to cook using her revolutionary yet simple philosophy. Master the use of just four elements - salt, which enhances flavor; fat, which delivers flavor and generates texture; acid, which balances flavor; and heat, which ultimately determines the texture of food - and anything you cook will be delicious. 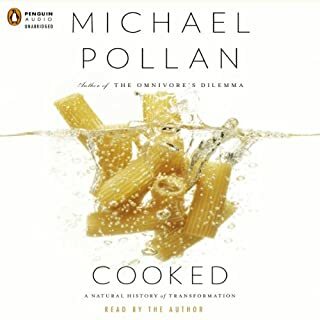 By explaining the hows and whys of good cooking, Salt, Fat, Acid, Heat will teach and inspire a new generation of cooks how to confidently make better decisions in the kitchen and cook delicious meals with any ingredients, anywhere, at any time. 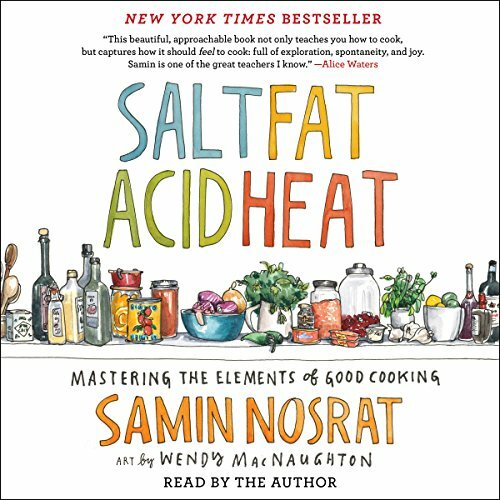 Echoing Samin's own journey from culinary novice to award-winning chef, Salt, Fat Acid, Heat immediately bridges the gap between home and professional kitchens. With a lighthearted approach to kitchen science, Samin demystifies the four elements of good cooking for everyone. ©2017 Samin Nosrat. All rights reserved. (P)2017 Simon & Schuster, Inc. All rights reserved. The stories of how great meals unfold are presented both informatively and humbly by Samin Nosrat. I have read many stories from various chef's and few ever delve into the science of good meals, let alone try to teach it. The 100 pages of recipes in the book are omitted from the pdf and that's a real shame. that's the only reason I didn't give this book 5 stars. Fabulous book! But where are the recipes? Absolutely love this book. Just what I was looking for. Fun to listen to and very informational. But where are all the recipes? I can find the PDFs on my computer, but none of the recipes. Would you listen to Salt, Fat, Acid, Heat again? Why? No. The author reads the book and does a poor job. It is very hard to keep the unnatural, cadence and intonation from being a major distraction to the excellent content. I consoled myself by remembering that I have purchased the book and can re-read it later. What didn’t you like about Samin Nosrat’s performance? Her intonation. She does't talk to us. She "reads with expression," as a third grader does before finding her natural voice. 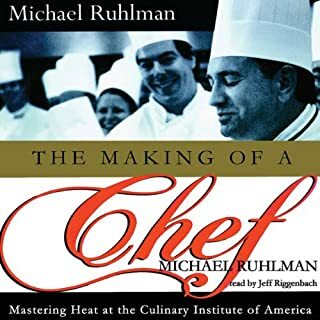 This books explains the theory of cooking in a way that affirms the way I cook and which will make me a better cook because of explaining the how and why of these essential elements of a dish. I highly recommend buying the book. I suggest that Audible have it produced with a different reader. If you are a beginner or s seasoned (haha) home cook- this is an excellent primer for just about everything. On top of that, Samin's voice and inflections are clear and delightful to listen to. 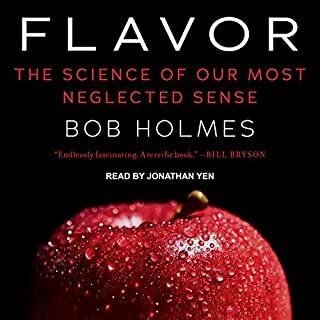 I'm almost finished listening, and probably going to start it over again immediately to get some of this wealth of knowledge into my head. Loved this!!! Must read for novice like me. My wife requested this book last Christmas and I bought it for her. She later requested the audiobook and after purchasing, I decided to listen to it as well. It is a treasure trove of revealing information about the basics of cooking. Samin has a great personality and is so pleasant to listen to! I thoroughly enjoyed the read and the Netflix shows that correlate. I highly recommend this book! 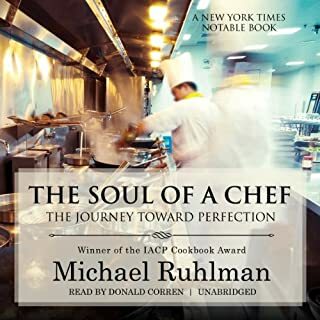 I started this book after reading Michael Pollan's Cooked, which made me interested in being a better chef. This book has so much good information, and at times it was even too much. 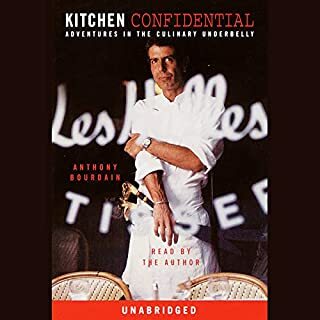 I can see where anyone really dedicated to cooking would love this book, but for me, as an amateur cook, I was a little bored. I can definitely say I am a better chef though, and would recommend to anyone trying to improve their culinary skills. excellent breakdown of cooking techniques! This book offers an excellent breakdown of cooking techniques--wish I had read it 30 years ago! The author's energy was fantastic and really brought the book to life. Very enjoyable to listen to, but will leave you hungry!